Vault of Light: Alt Appreciation Week Two - Druid week part two. Alt Appreciation Week Two - Druid week part two. 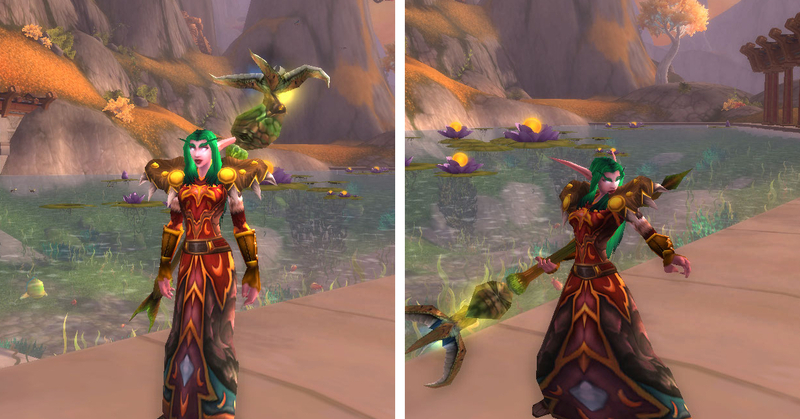 I've been loving Druid week! My Druid Ahdrin whom I mentioned in this post hit level ninety last night! I'm loving playing Guardian on her, I've only done a few heroics but it's been really fun. I started questing at around eighty eight as instance xp was getting pretty slow. I tried questing as Feral which ended in tears, I lost count of how many times I died. I switched to Balance which seemed to go a little better. I've leveled all of my Druids almost exclusively though tanking instances so being out on my own with a spec I'm not familiar with was a terrible experience but I got there! I got a nice surprise from a friend today. A Cinder Kitten! Squeeeeeeee! If that isn't the perfect gift for a Druid then I don't know what is. I love him. Thank you if you're reading this <3. 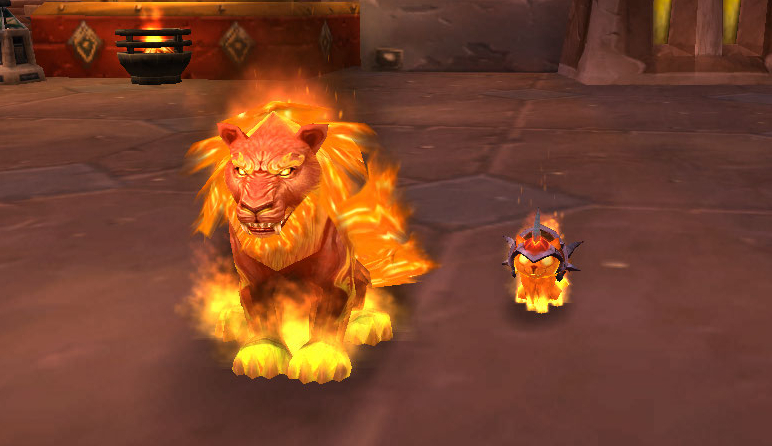 I named him Dazzle after the Druid overlord who gave him to me. Dazzle with his Daddy the Druid Overlord. Robes of the Summer Flame. Given that I spend most of my time as a bear I don't spend too much time mogging my poor druid but this and the first one in my previous post are probably my favorites. Dazzle with his Daddy the Druid Overlord - So cute!